Does anyone remember Collin Raye? You would think a country artist with 21 top ten hits would hold quite high standard in country music circles. The truth is country music can be a fleeting game as fans move on to the next biggest thing all the time. We keep glimmers of the past alive and smile when we hear our old favorites on the radio. For artists like Collin Raye this means a little loss in stature after a huge run of success. I’m sure it’s not all bad, but it seems like there should have been more for Collin Raye. He went against nearly every Nashville norm back in the ’90s and won. Collin Raye didn’t wear a cowboy hat. He blended rock, country, and adult contemporary to perfection when nobody else was doing it. These days Collin Raye is still around. He’s out touring each summer and playing to happy fans. It seems though people forget how successful Collin was back during his big run. People seem to wonder who the guy ‘Collin Raye’ is on the festival billing until he gets up on stage and entertains them for over an hour with nonstop country classics. Starting in 1991 Collin Raye had a run of hits not matched by too many other country artists. His run of top ten country hits is as impressive today as it was back then. There was no let up from Collin from his first hit all the way through the ’90s and into the ’00s. Looking back on Collin’s career gives you some perspective on the kind of impact he had on country music. I’m sure you’ll recognize a few of the songs. Collin (actually Floyd Collin Wray) grew up in a musical family. Collin’s mom was an artist back in the ’50s and ’60s also having pretty good touring success in later years. The story goes she would bring Collin and his brother on stage to sing with her. In the mid ’80s Collin and his brother performed as The Wray Brothers. They were actually signed to a label and released a few singles, but nothing came of it. Soon Collin was on his own and struggling to find his musical dream. Everything changed when Epic Nashville signed him and released his first single in 1991. All I Can Be (Is A Sweet Memory) was released in early 1991 and made it into the country top thirty. Not too bad for a first single from a new artist. The first ones are always tough since there is no name recognition with the country audience. The next single from Collin in late 1991 changed everything, though. Love, Me – the story of lifelong love overcoming all odds – shot up the charts all the way to #1. The single made Collin Raye a country star. Even today – twenty years later – the song remains popular with country fans as they continue calling and requesting the sweet love song. A third single from Collin’s debut album All I Can Be was released. Every Second is a great line dancing kind of song although it’s not too well remembered by country fans even though it reached #2 on the charts in 1992. The singles propelled the album to platinum status and Collin was on his way. And he wasn’t about to let his big break go away anytime soon. To kick of his sophomore album Collin Raye had another #1 hit with In This Life . The track was a huge hit in 1992 and Collin’s star grew even more. Three more top ten hits including my personal favorite That Was A River were released and the album went on to sell over a million copies. Do you remember a few? The impressive thing about Collin Raye was how he was so different from other artists during the ’90s. He didn’t wear cowboy hats. He didn’t have three names. He didn’t have the full blown traditional style most male artists had during the early and mid ’90s. Collin’s music was a combination of contemporary country mixed with some adult contemporary and some pop sounds. There was still a neo-traditional country production on a few tracks, but for the most part he stuck to what he was and fans loved him for it. 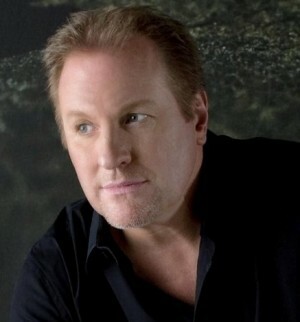 Collin Raye made his own kind of music and millions of fans bought what he was selling. The songs were catchy and fun in some cases and powerful and emotional in others. No matter what kind of song Collin released there was always something passionate about the way he delivered the vocals. I think it was this passion for a song and its topic that made people love Collin Raye. As happens with all country careers, Collin’s started to wane in the early ’00s. Times and tastes change and fans look for something new. It’s the way life works in the country world and it’s probably a good thing to get some fresh blood in every once in a while. Collin’s last hit was 2000’s Couldn’t Last A Moment . The single reached #3 on the charts that year and it looked like Collin would have another hit album on his hands. The following singles failed to make much impact on the charts, though, and Collin soon found himself without a record deal. Throughout the decade of the 2000s Collin kept making music. He released a few albums and singles on various independent labels with little success. His past hits remained favorites at country radio stations, though. People will probably always call in and request the hits. Collin has remained on the touring circuit over the years. He comes to a local country music festival up here in Wisconsin every couple of years. I’ve never been to see him, but he’s here again this summer and I think I might head over and check things out. He plays the 5pm slot, but even the current artists that come after him will not have 20+ hits to play. That’s the good thing about seeing artists like Collin Raye out on tour – nonstop hit country music. I’m sure we’ll get more music from Collin and you never know…there could be a surprise hit out there somewhere. If the song is good there is no doubt Collin could still deliver a top vocal performance. I think that would make for a great story. Looking back on the great decade of the ’90s in country music Collin Raye is often overlooked. For a guy with over 20 top ten country hits in a single decade it blows my mind to think he’d be overlooked. Collin racked up platinum and gold albums with consistency and he did it all while sounding different from everything else going on during the time. He made good music and fans loved it. It’s sounds simple, but it’s a hard thing to do. These days Collin is still out on the road playing his classic hits. As a little tip of the hat I thought we could look back on his contribution to country music and enjoy.